What is it? Ip Man is an adaptation/biographical style Kung Fu movie based on the life of the famed Sifu (master) Ip Man, who among many other achievements in his life is most well known for teaching the legendary Bruce Lee Wing Chun Kung Fu. 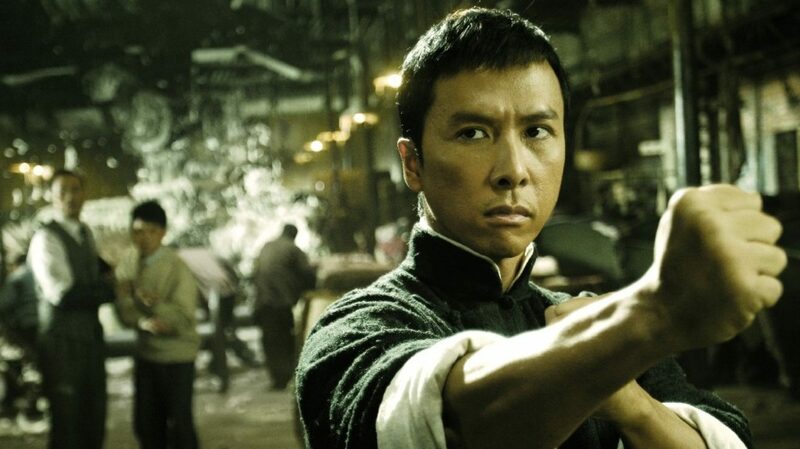 When Foshan resident’s lives are turned upside down by Japanese occupation and the start of the Cino-Japanese war, Ip Man (Donnie Yen) stands up against the harsh Japanese occupation by using Wing Chun to inspire his community while also becoming a national hero and a symbol of Chinese pride in the process. Now despite the fact that very obvious liberties have been taken with the story for the purpose of entertainment and the ‘Japanese oppressor vs oppressed Kung Fu master/national hero theme’ has been repeated a kabajazzillion (copyright ‘kabajazzilion’ Pennyworth Reviews 2014) times In Kung fu movie history, Ip man is possibly the best version of that story Ive seen (or at least a close second to Fist of Legend). Not to mention the beautiful cinematography, extraordinary fight choreography and the fantastic performance from Donnie Yen.